If this month's sugar rush leaves you feeling weighed down and listless, try some of these sweet and natural alternatives to sugar. 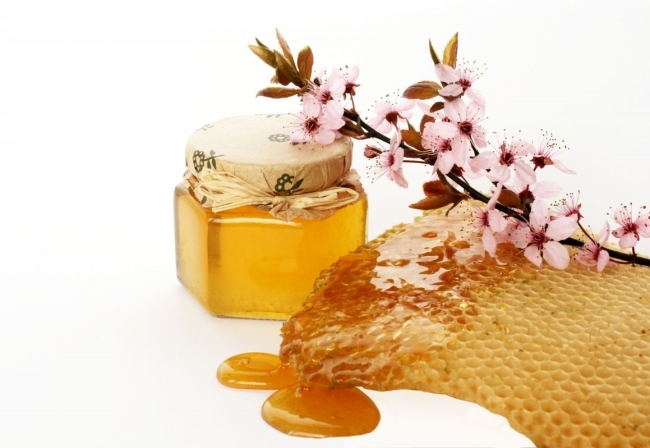 Raw Honey: Use 3/4 cup honey in place of 1 cup sugar. Pure Maple Syrup: Use 3/4 cup maple syrup in place of 1 cup sugar. Stevia: Stevia can either be used in the powder or liquid concentrate form. For every 1 cup of sugar, use 1 teaspoon of either powder or liquid stevia. Agave Nectar: Use 2/3 cup agave nectar in place of 1 cup sugar. Remember that in baking, the liquid to dry ratio needs to be balanced (according to the ratio of the recipe) when using substitutions. If the ratio has significantly changed during the process of substitution, be sure to either add or take away from the imbalanced side. Another important tip is to combine your liquid sweeteners with your fats and other liquids first. Fully incorporate the two together to prevent separation. In recipes where white sugar is used, this is not always the case because it is not necessary for white sugar. However, when using liquid sweeteners, this is an absolute must. Otherwise, your finished product will not have the correct texture. For best results, bake your batter right away. Also, some sugars brown faster than others. For example, agave nectar browns and can potentially burn much faster than white sugar. If your baked goods seem to be browning too fast, turn your oven down 25 degrees or so. Substitutions can be a bit tricky. It is not always a matter of perfect measurements from a chart but rather a test of intuition. If you feel something doesn't look or taste quite right change it according to your preference and insight. Play around until you feel it's just right. For those of you conscientiously watching your sugar intake, you may want to take advantage of Cook'n's amazing nutritional analysis capabilities. Cook'n will break down each recipe you use and convert it into personalized nutritional information. This makes it especially easy for you to monitor the amount of sugar in each serving of every recipe you make.